A special thank you to Linda, our Google Strategist, for sharing the wealth of knowledge she provided! We hope you learned a lot and gained more insight on the benefits of being online and utilizing marketing to better your business. If you have additional questions we would love to set up a time so we can one on one discuss more on the information we covered and more specifically how this information applies to you business directly. Using the button below, we can set up a time that will allow us to better get to know your brand and how effective your business is using the online tools you have and how you can use other tools to strengthen your return on investment. Previous Post: We’ll Have GOOGLE Help You Get More Members! Next Post: Veterans, We Thank You! Master Tracy Thomas and his team at “Go2KarateSites” are the real deal. There are VERY few people in the Martial Arts Industry who really know how to truly leverage the marketing power of the internet. Even fewer yet, who can actually execute the plan. Master Tracy Thomas and his team at “Go2Karate” are the real deal. There is an awful lot of REALLY bad advice and shoddy services in our industry, especially when it comes to internet marketing. 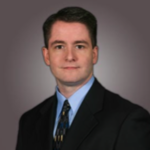 But Master Thomas and his team of developers are true professionals who are delivering REAL results for their clients. Whether you need a website that delivers new prospective students to your door, online marketing services (SEO, SEM, Pay Per Click Management etc…) or social couponing (Groupon, Living Social, Amazon Local etc…), Go2Karate are now our “go to guys”. 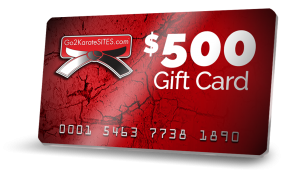 The Go2Karate team have “cracked the code” on getting traffic to your site, and getting it converted into intros and paying students. I’m HIGHLY recommending the Go2Karate systems for all our NAPMA members, Coaching Clients and frankly, any school owner.